In the last session of the Indiana General Assembly the state’s legislators decided to provide more money to wealthy districts and less money to poor districts. Now, New Jersey’s Chris Christie has done the same. It’s what Republican “reformist” policy makers do. Rick Riordan wrote in his young adult novel The Red Pyramid, “Fairness does not mean everyone gets the same. 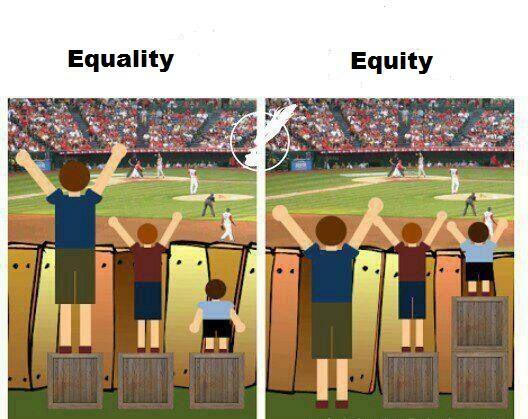 Fairness means everyone gets what they need.” That, in a nutshell, is the difference between equality and equity. With equality every school gets the same. With equity every school gets what it needs. As long as our policy makers are unable, or unwilling, to deal with the massive level of child poverty in the country, our schools, and all our public services for children, need to focus on equity. Christie’s one-size-fits-all plan for taxation does not meet our most basic understandings of fairness and justice. No matter how hard you work, malnourished and traumatized children will not score as high on standardized tests as children of the wealthy. No matter how well trained the teacher is, children who lack medical and dental care will not learn as well. No matter how much you threaten, teachers alone cannot overcome all the deleterious effects of poverty, segregation, and racism. How long will we keep feeding fuel to a train wreck? 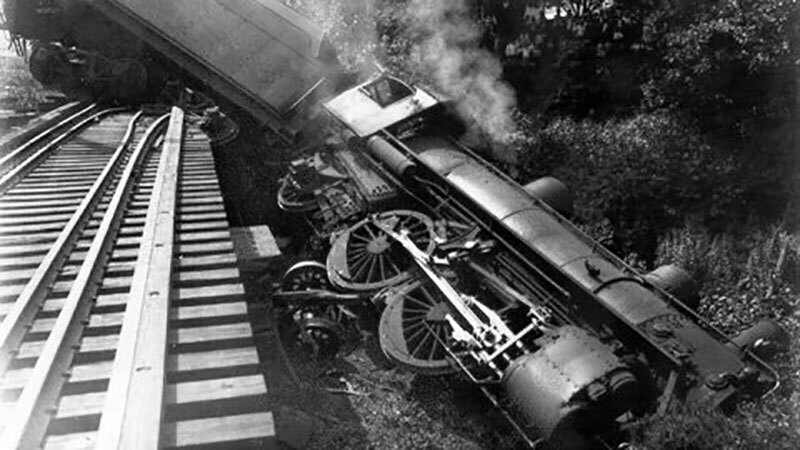 At what point after a locomotive crashes should the engineer and fireman stop shoveling coal? I would think the first priorities in the above scenario would be to clean up the wreckage, investigate the cause of the crash, and then work to correct the reasons why the train went off the tracks in the first place. That’s if you believe train wrecks are generally something to be avoided. Therefore, adding more fuel to the flame by continuing to shovel coal into a broken train engine would be rather idiotic, right? Alfie Kohn reminds us that progressive education works better than canned programs and “teacher–proof” scripts. A few years ago, two researchers in Singapore published a study that compared the effect of traditional and progressive instruction in middle-school math. The traditional approach consisted of having students listen to lectures and individually solve practice problems with clearly defined right answers. The progressive approach was defined by collaboration, discovery, and open-ended questions. If you’re surprised to learn that the latter turned out to be much more effective — producing “deeper conceptual understanding without compromising performance [on conventional measures of achievement]” across “a spectrum of. . .ability levels” — well, chances are you haven’t been following the research in this area. It’s long been clear that direct instruction and other traditional practices aren’t very effective in general and are particularly counterproductive with younger children. 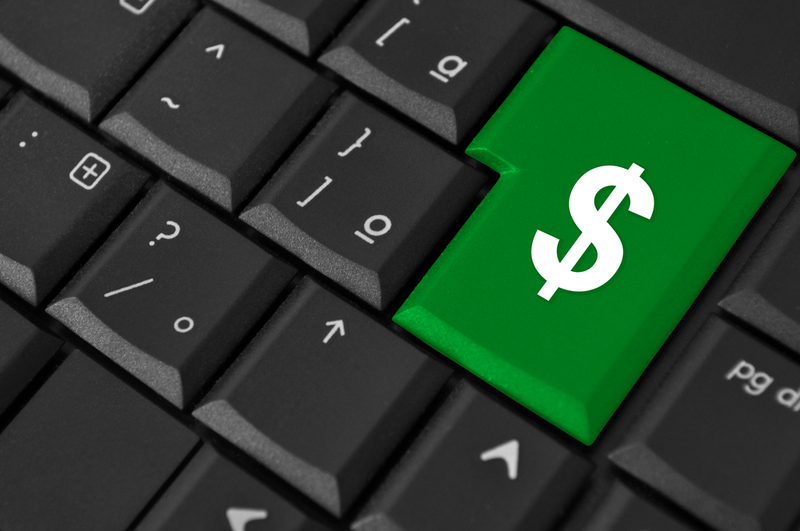 Virtual (online) charter schools are so bad even charter school advocacy groups admit it. This report from the National Alliance for Public Charter Schools and the National Association of Charter School Authorizers reinforces the fact that virtual charter schools are failures. Their solution? Have the public pay to continue the failed experiment through continued funding of such schools. Let the profit continue while the privatizers try to fix things. The well-documented, disturbingly low performance by too many full-time virtual charter public schools should serve as a call to action to state leaders and authorizers across the country. It is also time for authorizers to close chronically low-performing virtual charter schools. Our organizations plan to work actively with state leaders and authorizers as they embark on these efforts. 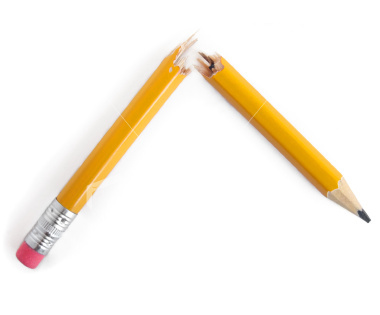 When ADHD Collides With Grit: What to Do? I grew up with untreated “minimal brain dysfunction” (the name for ADHD in the 50s and 60s)…and struggled as a student. I kept hearing “you’re just lazy,” “you need to try harder,” and “you give up too easily.” Year after year (decade after decade) of the same negative messages has a tendency to damage one’s confidence (to say the least). It’s still something I struggle with daily half a century later! Demanding “grit” in students with ADHD is contraindicated. The one size fits all mentality (aka ‘learn or be punished’) damages our most vulnerable students and denies them of their right to an appropriate education. …is today’s grit more punitive than helpful? 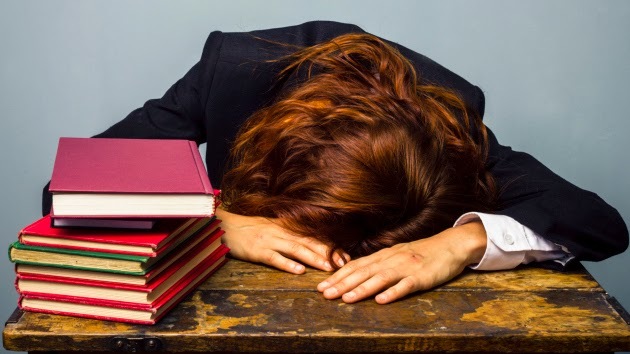 Is it just an excuse to browbeat students into accomplishing unproven school agendas, or to insist that they put up with the lousy conditions adults fail to fix? Think about the loss of recess. 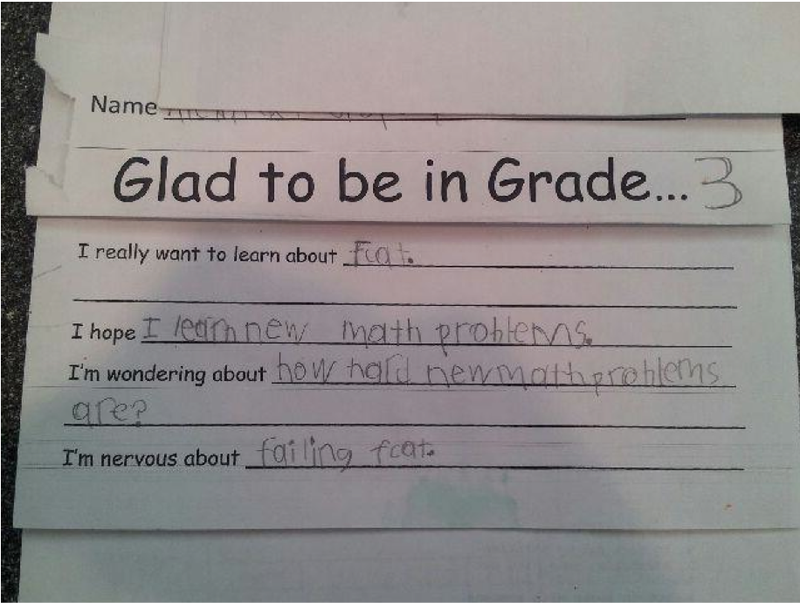 Is that supposed to teach grit? In special education the goal for students with ADHD, or other differences, has always been about helping students find what they do best. Of course, they weren’t the first to have made these mistakes. And, the Conservatives waging today’s war on education hope that they won’t be the last. Public schools provide an anchor for communities. They provide stability for children…something lacking when “failing” schools – i.e. 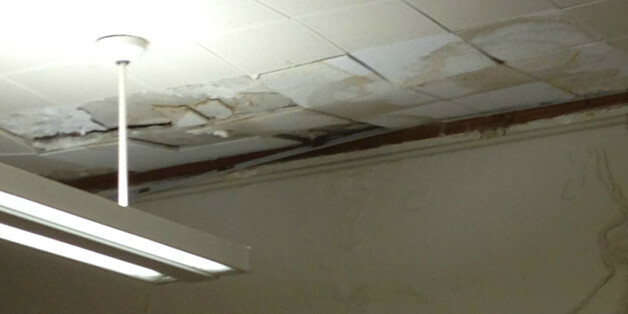 schools in poor communities – are closed and replaced by charters which don’t do any better. Local schools are important for both urban and rural communities. 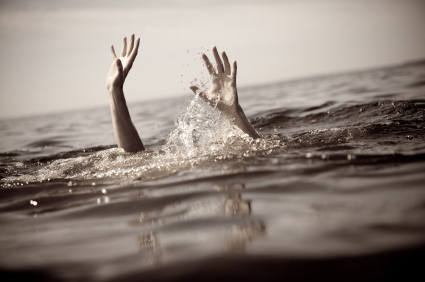 “Churn” and disruption might be good for business, but it doesn’t help children. …while a community school reflects and preserves the strengths of its community, it also reflects the problems and weaknesses as well. But I also know, and have seen with my own eyes, that a community is more of a community when it has a school, a place where all members of that community come together to care for and nurture one of their most precious resources—their children. In a democratic society, that has to count for something. I was talking to a former colleague last week – a special education teacher – about Response to Intervention (RtI) and how it isn’t working. We agreed that it seemed to be a way of keeping children from getting the special educational services they deserved – saving the school system money. Many schools and school systems adopted RtI plans because money needed to fully support special education services was inadequate – public schools are still waiting for promised federal support. There are just too many kids who need help, and not enough special education teachers – as well as not enough money to pay special education teachers – to go around. If we, as a nation, actually cared about our children (as opposed to “my children“) we would make sure that extra help was provided when needed. Instead we dump the impossible task of fulfilling every classroom need on overworked and under–supported classroom teachers…and then blame them when it doesn’t work. A US Department of Education study evaluated RtI and found that there was little research basis for using it as a method of helping students. In fact, the report reports that RtI was worse than ineffective. It actually made things worse for some students. 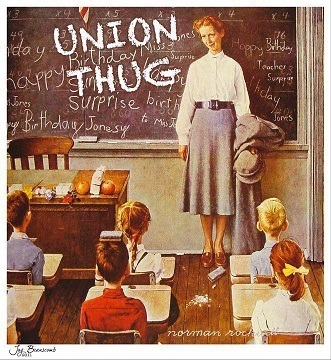 How “reformers” have worked to destroy the teaching profession – Indiana version. …you get what you pay for, and if you want to close achievement gaps between poor children and their privileged peers, you should spend what you need to to ensure that the children living in the poorest communities get the added attention they need from highly qualified teachers. You can place blame for the country’s education funding crisis squarely at the feet of state lawmakers and policy leaders who simply refuse to fund schools. The “choice” in education has always been available for those who were wealthy. “Choice” now means that privatized schools can choose their students. Parents who are confused and without a well-staffed, well funded neighborhood school to rely on, are left to struggle with the system. I read aloud to all my classes because I’m convinced that reading aloud is one of the best tools we have to help children learn to read. 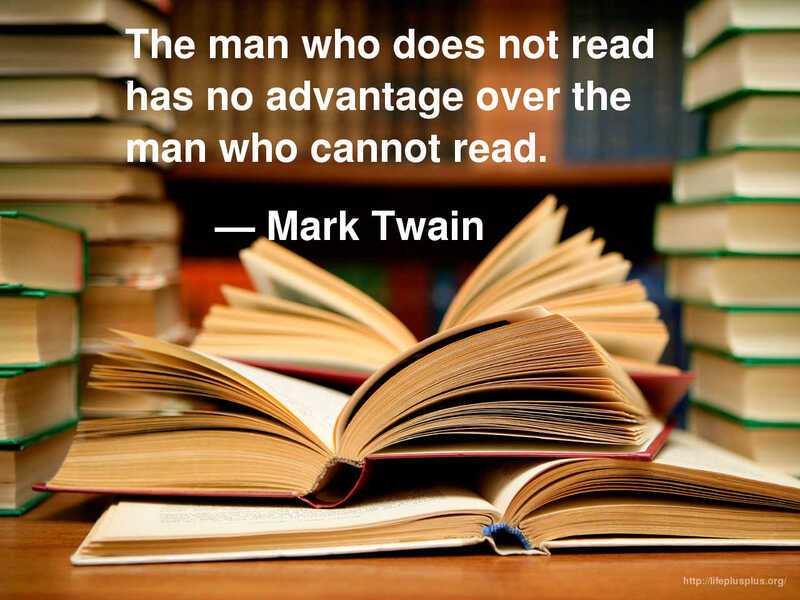 Reading is, arguably, the single most important skill a child learns in school. In the newest edition of his book, Trelease devotes an entire chapter to fathers and reading aloud. Boys, Trelease says, need their fathers to read to them. The relationship between fathers and sons has changed over the years, and not necessarily in a good way. Over the last few decades America’s “male” culture has been dominated by sports and television — ESPN (and ESPN2, ESPN Classic, etc. ), Monday Night Football, and others — and boys watch their role models carefully. Now that it’s Clinton v Trump, where do they stand on education? How long will we continue the test and punish, racial and economically segregating, anti-child, education policies of “reformers?” This is why there is a teacher shortage. This is why veteran teachers leave the profession instead of continuing to hurt the children they are supposed to teach. This is why we need to replace the state legislators and governors who get their kick-backs from testing companies and privatizers. Why would Rick Young, a 58-year-old teacher who imagined he’d teach until the end of his working career, leave something he’s so obviously passionate about? “It’s become a lot harder to teach and especially to teach in a way that I personally think is meaningful for my students,” he said. Young is talking about a national trend in teaching to more clearly document and measure what’s taught, meant to keep teachers accountable, along with a new standards. That led to a shift for teachers toward standardizing lesson planning. He said this means filling out what is, to his mind, endless paperwork as he now must plan his lessons in a more systematic and precise way. Winning the battle but losing the war? Behind the science of early reading instruction. There is lots of evidence that reading books to young children, even to little babies, helps children to develop their language skills. Books offer exposure to a wide variety of words, provide children with valuable knowledge about the world, and provide a treasured sharing opportunity for parents and children. However, the transition to independent reading is one that deserves careful consideration. As noted by Dr. Nancy Carlsson-Paige in her essay, “Defending the Early Years”, most kindergartners are not developmentally ready to learn to read. This is not to say they should be kept away from letters and sounds. 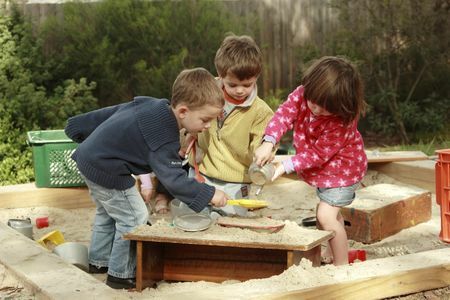 Champions for play-based pre-school education have articulated a wide variety of ways in which play-based curricula can skillfully weave in letters, sounds and books without formal teaching or formal assessments. Feeding a curiosity for sounds, letters, and books in a way that truly excites and engages the child can nurture later reading. An early introduction to books is a very good thing for young children. However, an early expectation that a child will learn to read independently may actually backfire. Here are some links to actual research in grade retention, including some links within the links. While retention policies are receiving a lot of attention due to a push to improve 3rd-grade reading, early identification and intervention are more likely to improve student performance. Indiana uses a reading test, IREAD-3, to prevent students from being promoted from third grade to fourth. The rationale is that they need a year to catch up. Research into retention has shown time and again that students who are behind in third grade don’t catch up through retention, and in fact, fall even further behind. The money for IREAD-3 would be better spent on early intervention (see here, and here, and you might as well check this out, too). Another reason we strongly oppose this policy is that the consensus among researchers and experts is overwhelming that retaining students, no matter what their actual level of achievement, is likely to damage rather than help their educational prospects. Models suggest that early primary grade retention scars the educational career mainly at high school completion, though there are important, unconditional effects on college entry and completion as a result. A dozen and a half states force schools to retain third graders who don’t “pass the test” including Indiana…and now Nevada. A century of education research proving retention does NOT work should be enough. Simply: Whole group learning did not work the first time so the remedy should not be another year of whole group learning. Repetition of a grade level, without a significant change in the method of instruction does not work. Real remedies would include smaller class-size, differentiated instruction, language learning scaffolding if necessary, or individualized support like tutoring in small groups. The worst possible remedy is blanket retention for large masses of at-risk studennts. 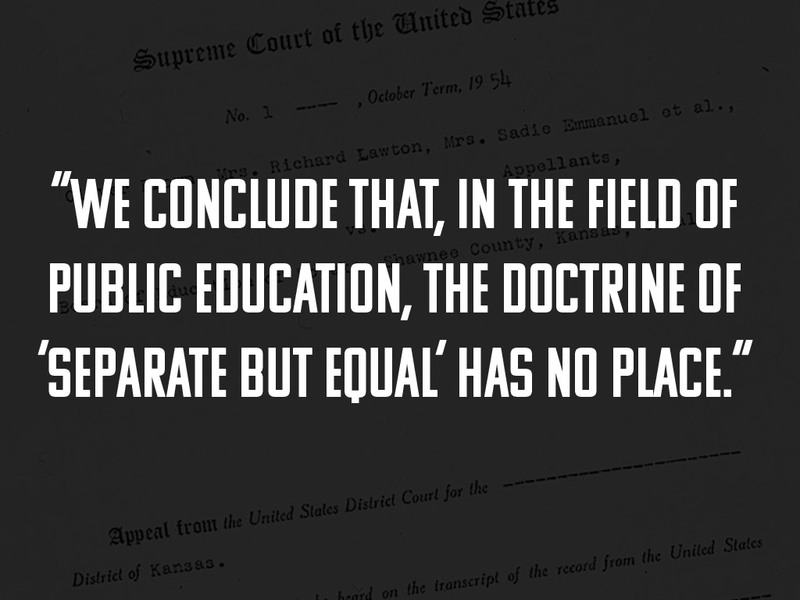 In 1954 the US Supreme Court decided that separate but equal schools were inherently unequal and were unconstitutional. But in 2007, the Roberts Court sidestepped Brown which set the stage for today’s resegregation of America’s public schools. For a short time after Brown, the Federal Department of Education took steps to make sure that schools were desegregated. Did desegregation work? Studies showed that black students benefited from desegregation. A new report shows that the benefits continued to the next generation as well. Previous studies have also found large benefits to black students after desegregation. But Johnson also tracked the offspring of these desegregated students — the next generation, born after 1980. And Johnson found that the more years of desegregated schooling their parents had experienced, the better outcomes these kids had. Specifically, these children had higher math and reading test scores, were less likely to repeat a grade, were more likely to graduate from high school, go to college and attend a higher quality college. Our students are a diverse group of humans…education needs to adjust. Our schools face two central challenges as they diversify. First, how do we train and retain educators to relate to students from a broad range of racial, cultural, socioeconomic, and linguistic backgrounds? More than 50 percent of public school students are now low-income. One out of 5 speaks a language other than English at home. And nearly one quarter are foreign-born or have at least one foreign-born parent. Meanwhile, about 80 percent of America’s public school teachers are white—down from 86 percent 20 years ago—and more than three-quarters are female. As public school students diversify, qualities such as empathy, self-awareness, open-mindedness, and understanding are more important than ever in our teachers—just as they will be for all of us in an increasingly diverse society. Teachers will need to have the capacity to serve not just as instructors but also as cultural brokers and social leaders, aware of their own biases, empathetic when confronting difference, comfortable with change. Why do we continue to throw away taxpayers’ money on charter schools which can leave whenever they decide it’s no longer profitable? It’s time to invest in real public schools. 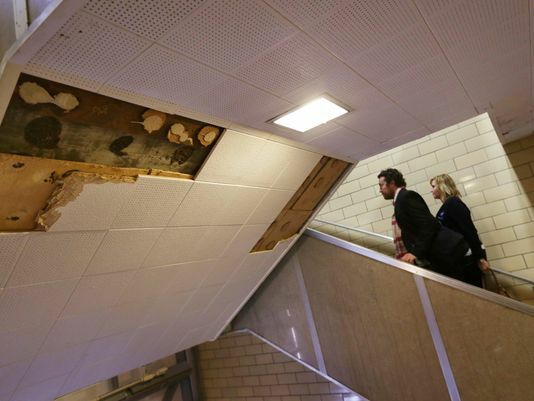 Fix the schools we have, don’t throw them away! …charter schools DO increase segregation. They DO suspend children of color at higher rates than traditional public schools. And they DO achieve academic outcomes for their students that are generally either comparable to traditional public schools or – in many cases – much worse. 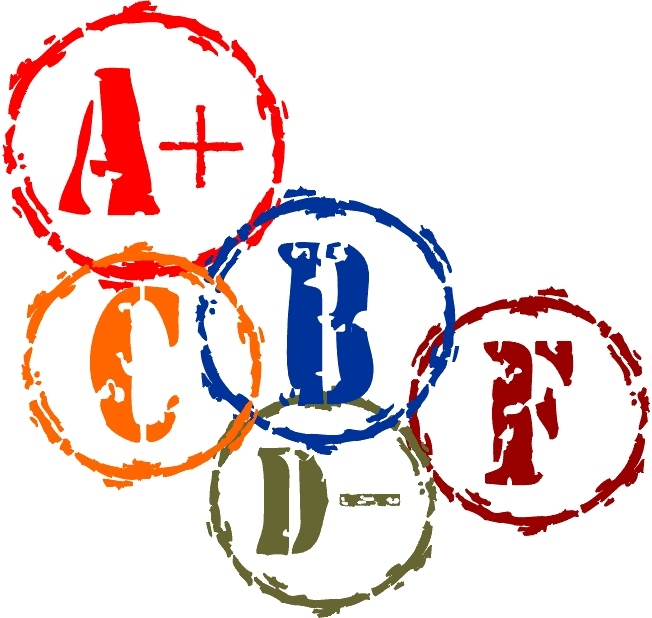 Indiana is currently wasting millions of dollars on bad tests used for the invalid purposes…for ranking students, retaining students in grade (IREAD-3), evaluating teachers, and grading schools. The general consensus is that the tests are too long, taking too much time from instruction, so more money is being spent on the quest for a new test…one which will likely also be a bad test used for the same invalid purposes, but perhaps a bit shorter. Today’s Chalkbeat featured an article about the search for a new test and why Indiana would probably not choose a test which teachers actually liked and found helpful…the NWEA MAP test. The test, created by the Northwest Evaluation Association, can be administered two to four times per year in English and Math. It takes far less time than typical state exams — about an hour per subject per session — and teachers can see the results immediately, enabling them to tailor their lessons to areas where kids are showing deficits. Sounds perfect, doesn’t it? 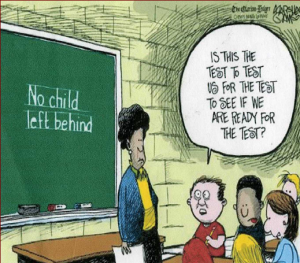 The test is shorter, taking less time away from instruction. It’s more helpful to teachers so they can actually use it to learn what their students academic needs are and improve instruction. What’s the purpose of testing? Is it a tool to identify winners and losers in public education or is it a tool to help teachers improve their instruction and help students learn? Indiana law also discourages the use of tests like MAP — so-called “formative” or “interim” assessments — as an annual state exam because the state’s A-F grading system is based on the percentage of students who pass or fail the test. MAP isn’t designed to determine which students have passed or failed according to state expectations for what kids should know at each grade level like ISTEP is — students can theoretically score anywhere on the MAP scale in any grade. The problem is that the MAP test does what a test is supposed to do – it tells teachers where a child is in his or her learning and gives them information they can use to help their students achieve. Indiana doesn’t want that, however. Indiana wants a test that separates kids into winners and losers. Indiana wants a test that will label schools, and their neighborhoods, on a scale of A to F.
“Measuring student growth independent of grade level … that is a different purpose then measuring student performance against grade level,” Mendenhall said. 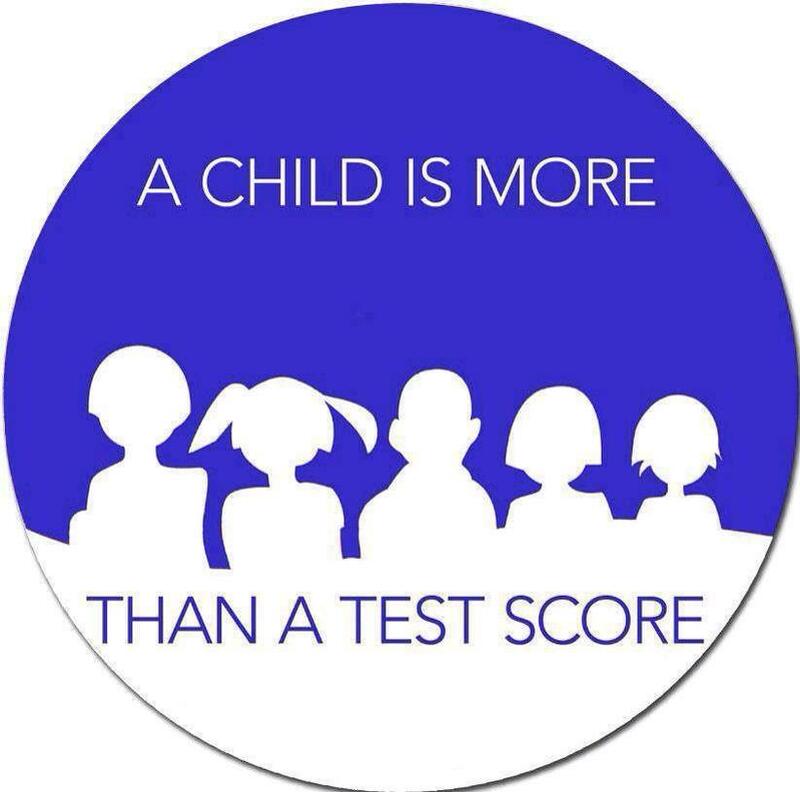 Indiana’s test must tell us which students are at “grade level” – an arbitrarily determined number designed to brand as “failing” schools, teachers, and children. The test is also inadequate for compliance with ESSA the new federal law which replaced NCLB. The law still requires that we test kids every year…though one nice change is that punishment for failure is left up to the state. But it’s hard to ignore that teachers say they appreciate the more specific feedback from MAP over any kind of results they get from ISTEP or A-F grades. It’s hard to ignore a test that teachers actually think might be helpful…unless you’re an Indiana policy maker, or Governor, who needs a way to label teachers and schools as failures in order to bust the teachers unions and divert public funds to privately run and private schoools. 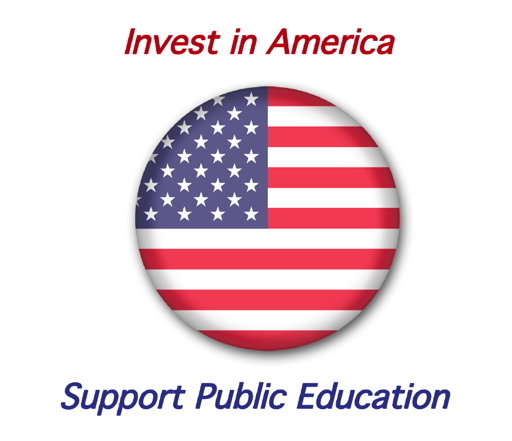 It’s time to take the issue of public education equity to the nation. The US is one of only three advanced nations which spend more money on our wealthy students than on our poor students. Successful nations do just the opposite! The Badass Teachers Association, representing a network of over 70,000 teachers and education activists throughout the United States, formally request a White House Conference on Education and Equity. Our organization stands firmly against the serious harm being perpetrated to public education by both corporate privatization and right wing fiscal starvation policies. The current political rhetoric strengthens our resolve to reclaim the rights of all children to a free public education. Our organization proposes that a White House Conference be initiated immediately. Like much of the American landscape, Public K-12 Education requires infrastructure overhaul that have been installed to insert barriers that inhibit authentic learning. We do not accept the mendacity that racial and ethnic minorities must fail due to a manufactured system that sets them up to do so. Mike Pence, Governor of Indiana, has spent the last four years fighting for education…not public education, but private education: vouchers and charters. 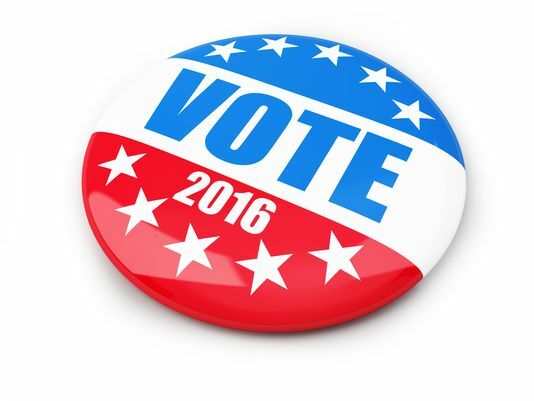 The Indiana State Teachers Association highlights the falsehoods in his recent campaign commercial. Gov. Mike Pence recently released a campaign commercial highlighting what he considers his positive record on education in Indiana. His wife, Karen, was the messenger. A main target of Mike Pence’s anti-public education agenda has been Democratic State Superintendent of Public Instruction Glenda Ritz. Pence and his cronies in the State Board of Education and supermajority packed General Assembly have done everything they could to make her job all but impossible. Democratic Superintendent of Public Instruction Glenda Ritz on Tuesday outlined her 2016 education policy priorities with a spotlight on expanding pre-kindergarten to all Hoosier children. She wants to make high-quality pre-K available within the boundaries of every school district in the state regardless of income of the child. “Reform” propaganda focuses on “bad teachers,” public schools that are “failing,” and other myths about public education in order to encourage privatization. See also 50 Myths and Lies That Threaten America’s Public Schools by David C. Berliner and Gene V. Glass. In this report, Rutgers University Professor Bruce D. Baker and Rutgers Ph.D. student Mark Weber address the common myth that U.S. public schools are inefficient – that is, spend way more money than do other nations and get worse results. They begin with a discussion of the typical presentations of data on U.S. educational efficiency, particularly those comparing the U.S. with other nations, as well as a discussion of key concepts, approaches, and research in the evaluation of educational efficiency. They then go on to present a more refined analysis of the data by adjusting for student characteristics, inputs such as class size, and other factors. Just like always…test scores mirror family income. We were told that vouchers were the only way poor children could leave “failing” schools to attend “successful” private schools. Then the voucher program was expanded to children who weren’t so poor. Then the voucher program was expanded to children who were already in private schools. Voucher programs are not a way to help children get a better education. They’re a way to take public money and drop it into the collection plates of religious institutions. Why turn over public funds to private organizations if they don’t do better than real public schools? Wouldn’t it be better for us to support our already existing public education system? If a charter school can’t perform better than a conventional public school, there is no point in having the charter school. After all, Ohio embarked on the charter-school experiment to see if there is a way to improve on the dismal results being achieved in many urban and poor school districts, not simply to replicate their failure. The idea was that if student outcomes improved in charter schools, then the schools would continue. But if charters failed to improve on the performance of conventional schools, they would be closed. Now, years after the experiment began, some schools are persistent failures, but instead of being shut down, they want to change the performance measuring stick so that they can remain in business. A school library without a certified librarian is like a classroom without a certified teacher. A school without a library is a travesty. Teacher effectiveness grows with experience. It is common sense, and it’s fact. Based on a review of 30 studies published within the last 15 years, the authors find that as teachers gain experience throughout their careers, their students’ achievement gains increase. Although the steepest gains in effectiveness are in the first few years of teaching, this improvement continues in the second and often third decade of their careers, especially when they work in collegial work environments. In Florida, like Indiana and elsewhere, third grade students must pass a test to be promoted to fourth grade. The utter stupidity and abusiveness of this policy is part of America’s “Learn or be Punished” mentality developed by “reformers” who don’t know anything about children and education. It proves without a doubt (in my mind) that legislators who pass these sorts of laws don’t care about children (other than their own, perhaps), and are just interested in lining the pockets of their testing company campaign donors – because you know that’s who is bankrolling their election campaigns. 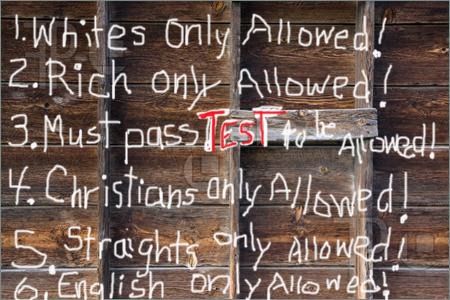 In addition, Florida education policy punishes students who attempt to opt out of the test. This would be an example of “choice,” except of course, parents are not allowed to “choose” something that “reformers” don’t like. Choose charter schools? Yep. Choose vouchers? Absolutely. Choose to opt your child out of a developmentally inappropriate high stakes standardized test? No way! 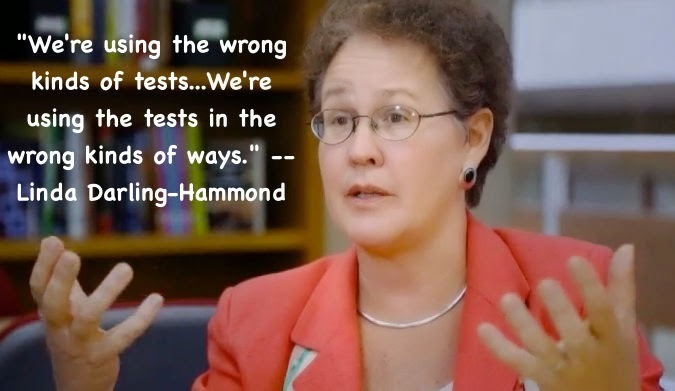 The result is that students in third grade whose parents choose to opt them out of the test – it’s the parents who decide because, let’s face it, most eight and nine year olds don’t know much about the opt out process – may be retained in third grade. This year a third grader can have great grades, the recommendation of her teacher and principal, and the admiration of her peers– but if she didn’t take the BS Test, she will fail third grade. Let me say that again. An eight year old child who had a great year in class, demonstrated the full range of skills, and has a super report card– that child will be required to repeat third grade because she didn’t take the BS Test. This is what happens when the central values of your education system are A) compliance and B) standardized testing. This is what happens when you completely lose track of the purpose of school. Collins also elaborated that there was no requirement to take the test before an alternative assessment could be used. Collins also told Jeffrey Solochek at the Times that the department would not be sending out a letter of clarification. “We’ve already made ourselves plenty damn clear enough for supposedly educated people who can read and speak English,” she did not actually say, but I thought I’d paraphrase. “Local decisions are to be made locally, particularly if they are so glaringly dumb that the fallout will be terrible,” she only sort of approximately continued. This is, honestly, better than I expected, given that Florida is the state that once insisted a dying child take the Big Standardized Test. Summer safety tips…(and en Español). 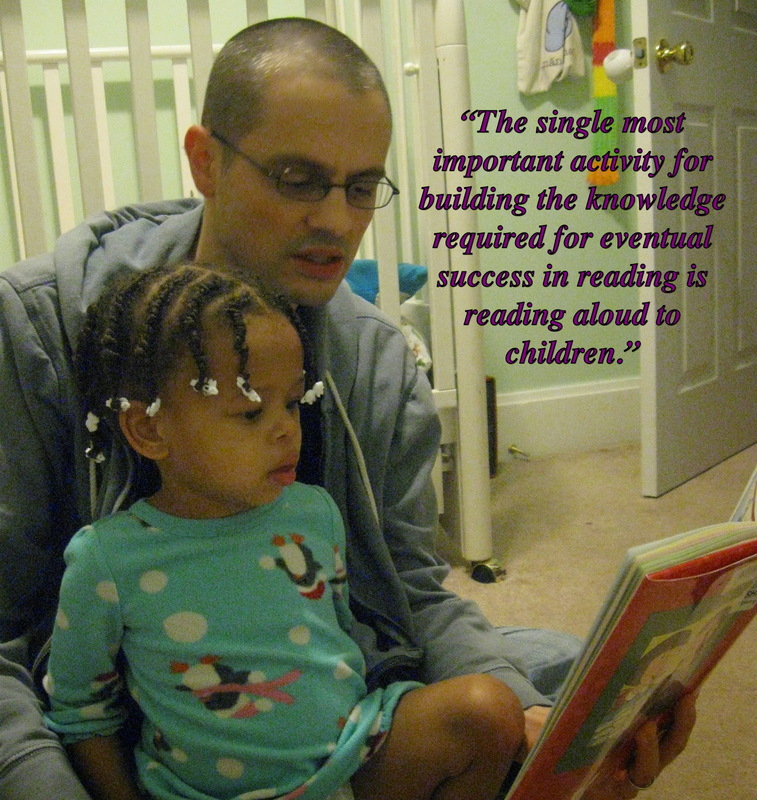 The most important summer learning task for parents and care-givers – read aloud to your children…EVERY DAY. Increase harmony during summer vacation with some tips from parenting experts. Don’t just read the lists here…go to the sites and take a look. You cannot be too loving. 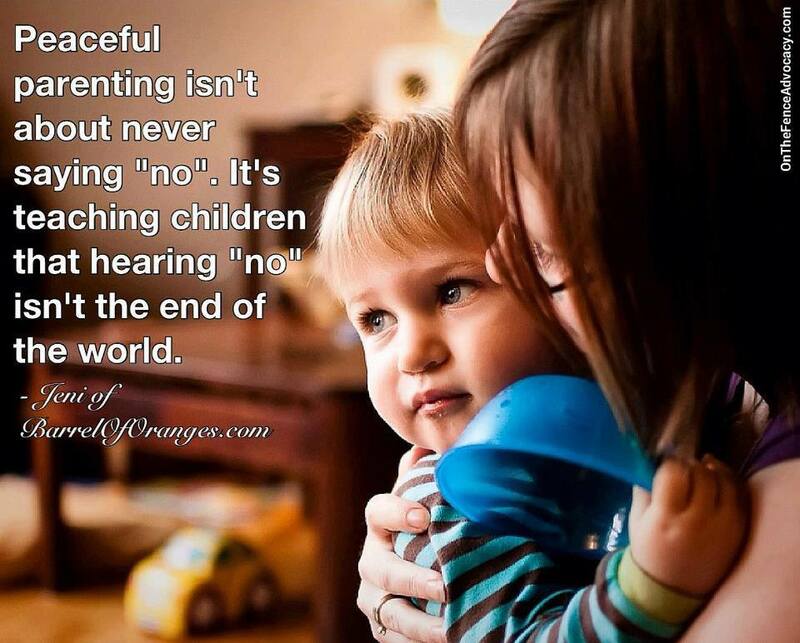 Adapt your parenting to fit your child. Explain your rules and decisions.